The resource centre for NHBC Standards, Building Regulations, technical apps, news and support. The NHBC Standards give the technical requirements, performance standards and guidance for the design and construction of new homes acceptable to NHBC. We provide a range of supplementary technical information, videos and 3D models to support the Standards. You can easily access this guidance through NHBC Standards Plus. With over 30 years' experience in Building Control, we have the expertise to guide you through compliance with the latest Building Regulations in England and Wales. 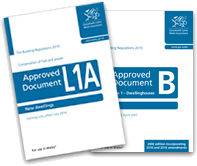 NHBC Building Regulations Plus (England) and NHBC Building Regulations Plus (Wales) are our new interactive guides to help you interpret and apply the Building Regulations. They each contain all the latest Approved Documents as well as supplementary guidance notes and material from our in-house experts. They're optimised for mobile devices so are accessible in the office or out on site. Building in Scotland or Northern Ireland? Technical handbooks for Scotland are available here. 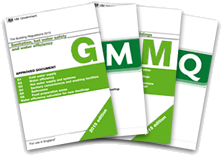 Building Regulations Technical Booklets for Northern Ireland are available here. NHBC is uniquely placed to offer relevant, best practice technical training. We have launched the Foundation Depth Calculator and 3D Viewer apps, and a third is in development.